Crushing Social Prejudices, One Bottle at a Time, with Guest Kurt Giusti and Musical Guest William F. Jordan, Jr. 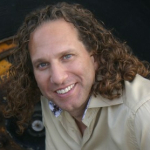 GUEST: KURT GIUSTI and MUSICAL GUEST: WILLIAM F. JORDAN, JR. In 2009 Kurt Giusti felt a call to honor and preserve the Giusti Family’s 140-year Sonoma County farming tradition and continue the family legacy, which has transcended into Via Giusti Wines. Wine making was a part of the family heritage, but only for personal use, Kurt would help and work in the family orchard, and at their apple juice plant, Giusti Apple in Sebastopol. To this day, Kurt splits his time between the family ranch, running the winery and managing overall ranch operations. 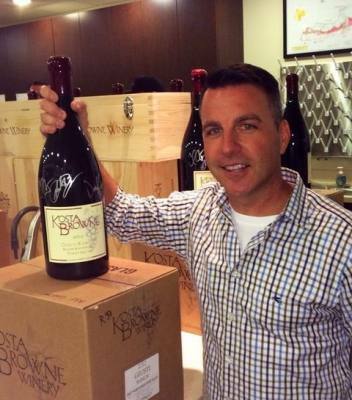 Kurt takes pride in the fact that he is continuing the family tradition in Sonoma County agriculture, and is also growing the family brand by expanding into the wine industry beyond farming. “We take pride in our heritage and the efforts we put into each part of the ranch operations and the wine produced. I Know that the attention to each detail makes all the difference in the quality of everything we do, especially the wines!” Salute! Voted as the 2016 Best Male Vocalist, by the Las Vegas Black Music Association, William originates from Elizabethtown Kentucky, were he was raised in a Southern Baptist household full of Gospel and Blues influences. He developed his vocal talents while singing in the church choir at First Baptist Church of Elizabethtown, and traveling with his family as guests at several area churches and community events. Since coming to the west coast, William has been blessed to be the opening act for H-Town, Andre Crouch, The Clark Sisters and sing background for the great Stevie Wonder, Chante Moore and Christopher Williams. He’s also shared the stage with Whitney Houston, Patti LaBelle and Marc Nelson. 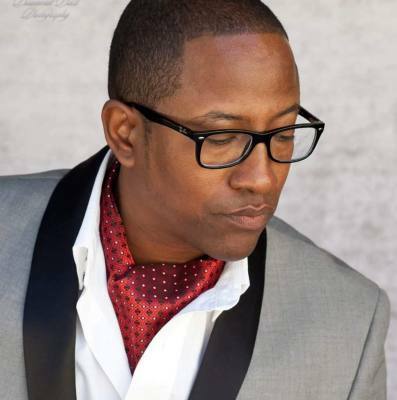 William has been a member of an inspirational group called “Light”, an R&B group called “Serenade”, the gospel group “Higher Calling”, and a lead vocalist for the Los Angeles based KJLH Performance Choir. He is currently the lead singer for an R&B band called Rhythm Nation; sings with a couple Temptation tribute groups; and is the featured artist in various casinos in the Las Vegas area. Along with his singing, William also is an actor and has had leading roles in USC’s production of “The Wiz” and “Cotton Comes To Harlem”. More recently he has been in several Gospel plays, including “Can A Woman Raise A Man” and “A Man Who Finds A Wife Finds A Good Thing”. He also played Nelson Mandela in a Rock Opera called “Visions”. In addition to receiving the Best Male Vocalist award, William has received several other awards for his vocal talents and was the first ever recipient of the “Zeola Gaye Take The Stage Mic Award”. He has also been voted as the “Long Beach Jazz Male Vocalist Of The Year” multiple times. He believes that his talent comes from God, his family and the experiences that have come his way. Listening to him is a positive and emotional experience you will not forget.